Orexin A (OXA) modulates food intake, energy expenditure, and lipid and glucose metabolism. OXA regulates the secretion of insulin and glucagon, while glucose regulates OXA release. Here, we evaluate the role of glucagon in regulating OXA release both in vivo and in vitro. In a double-blind crossover study, healthy volunteers and type 1 diabetic patients received either intramuscular glucagon or placebo. 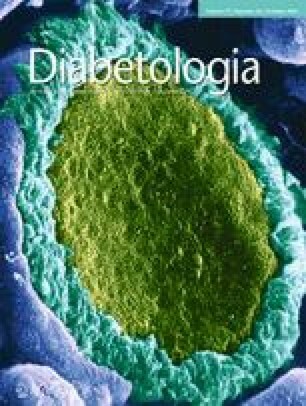 Patients newly diagnosed with type 2 diabetes underwent hyperinsulinaemic–euglycaemic clamp experiments, and insulin–hypoglycaemia tests were performed on healthy volunteers. The primary endpoint was a change in OXA levels after intramuscular glucagon or placebo administration in healthy participants and patients with type 1 diabetes. Secondary endpoints included changes in OXA in healthy participants during insulin tolerance tests and in patients with type 2 diabetes under hyperinsulinaemic–euglycaemic conditions. Participants and staff conducting examinations and taking measurements were blinded to group assignment. OXA secretion in response to glucagon treatment was assessed in healthy and obese mice, the streptozotocin-induced mouse model of type 1 diabetes, and isolated rat pancreatic islets. Plasma OXA levels declined in lean volunteers and in type 1 diabetic patients injected with glucagon. OXA levels increased during hyperinsulinaemic hypoglycaemia testing in healthy volunteers and during hyperinsulinaemic euglycaemic conditions in type 2 diabetic patients. Plasma OXA concentrations in healthy lean and obese mice and in a mouse model of type 1 diabetes were lower after glucagon treatment, compared with vehicle control. Glucagon decreased OXA secretion from isolated rat pancreatic islets at both low and high glucose levels. OXA secretion declined in pancreatic islets exposed to diazoxide at high and low glucose levels, and after exposure to an anti-insulin antibody. Glucagon further reduced OXA secretion in islets pretreated with diazoxide or an anti-insulin antibody. Glucagon inhibits OXA secretion in humans and animals, irrespective of changes in glucose or insulin levels. Through modifying OXA secretion, glucagon may influence energy expenditure, body weight, food intake and glucose metabolism. The online version of this article (doi: 10.1007/s00125-014-3335-4) contains peer-reviewed but unedited supplementary material, which is available to authorised users. We thank S. Hornemann from the German Institute of Human Nutrition Potsdam-Rehbruecke for her contribution to the collection of human data. We thank K. Sprengel from the German Institute of Human Nutrition, Potsdam-Rehbruecke, and A. Schönknecht and P. Exner from Charité-University Medicine Berlin for excellent technical assistance. This study was supported by the German Diabetes Foundation (Deutsche Diabetes Stiftung; MZS and AMA), Deutsche Forschungsgemeinschaft (DFG; STR558; MZS), and the DFG-graduate school (GK1208; AMA). The study was also partially supported by the Polish National Science Centre (Narodowe Centrum Nauki; grant no. N N311 508339). MSk and PKa were supported by the Polish National Science Centre (grant no. 2011/03/N/NZ4/02965). AMA, MZS, PKa and MSk designed the study, acquired the data and wrote the manuscript. AFHP, BW and KWN contributed to the study design and reviewed, edited and critically revised the manuscript. AA, SR, EP-O, PKo, MSa, DS and MB discussed the study design, collected and analysed the data, and edited and reviewed the manuscript. All authors gave final approval for the current version to be published. AMA and MZS take full responsibility for the content of the article.